Dallas : DeGolyer Library, Southern Methodist University, 2018. Quarto, bound in two contrasting green Japanese fabrics, folding frontispiece, pp. 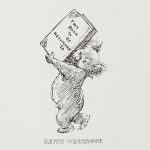 166 plus 32 pages of colour plates, printed letterpress. Limited to 390 copies (40 copies in a deluxe binding were also issued). 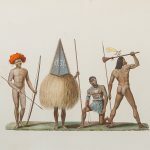 A magnificent illustrated monograph being the catalogue for an exhibition of rare travel books at Southern Methodist university. 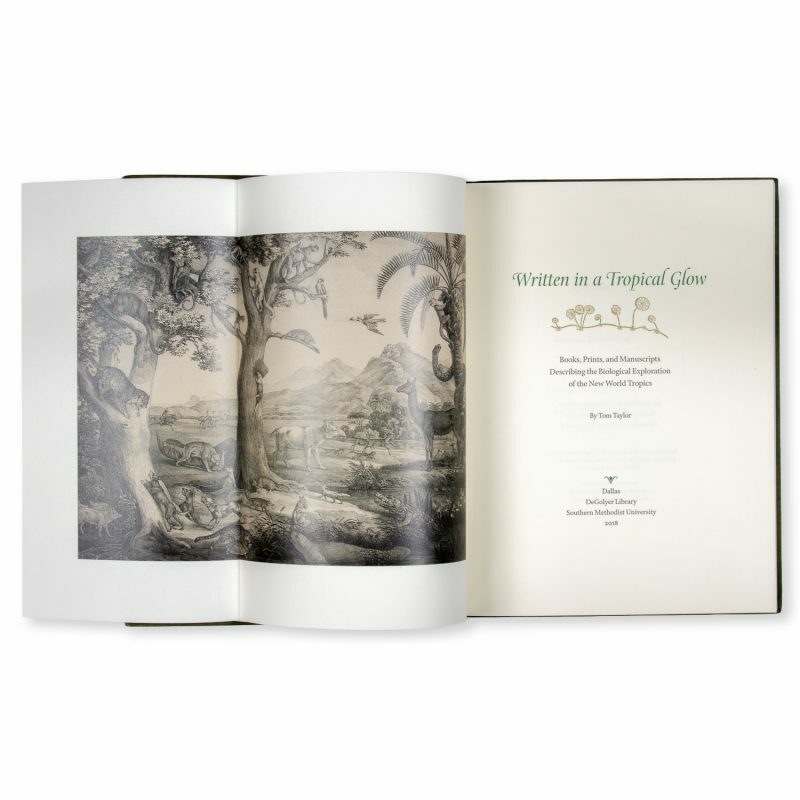 ‘The book is in two parts: the first is a narrative history of the biological exploration of the Neotropics. The second part describes and investigates the books as physical objects. 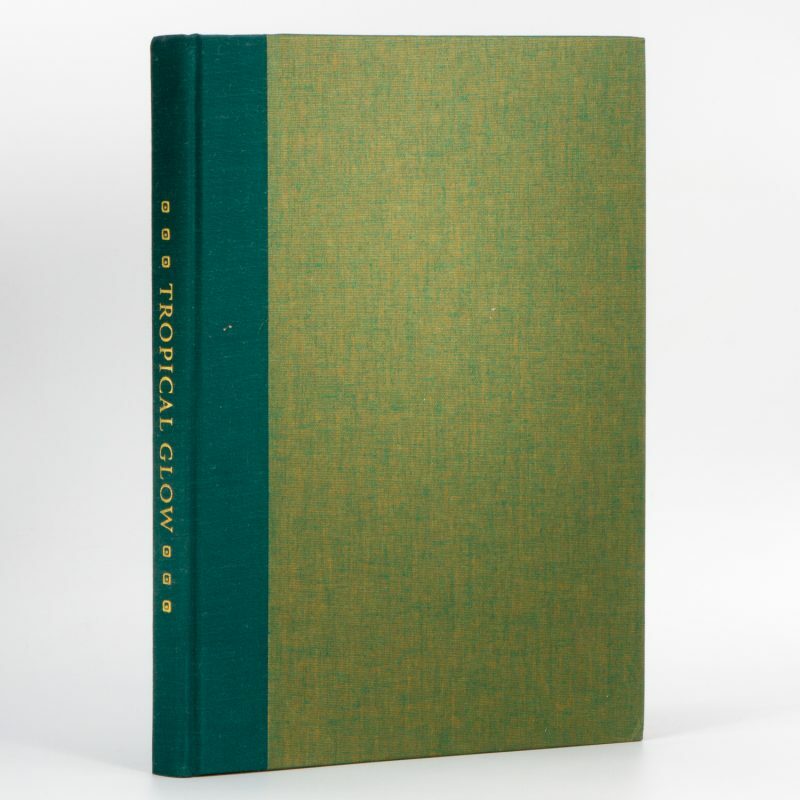 Written in a Tropical Glow is an exemplary piece of bookmaking, designed by Tom Taylor and printed by Bradley Hutchinson in an edition of 390 copies. The format is a generous folio (9 x 12), the paper Mohawk Superfine, printed letterpress in three colors in Summer Stone’s distinguished Cycles typeface. In addition to 166 text pages, there are 32 pages of color illustrations printed at Austin Digital Printing. The binding is from two contrasting Japanese fabrics.’ – the publisher.